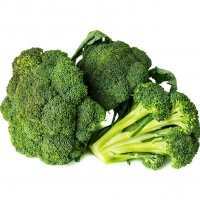 Broccoli is an edible green plant in the cabbage family whose large flowering head is eaten as a vegetable. The word broccoli comes from the Italian plural of broccolo, which means "the flowering crest of a cabbage", and is the diminutive form of brocco, meaning "small nail" or "sprout". Broccoli belongs to the mustard family and tastes like the cabbage. 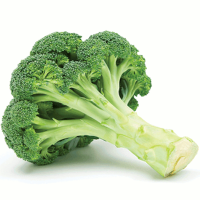 The edible portion of broccoli is the green colored flower head and the stalks. There are many variants of broccoli found in the market and cultivated by farmers. It is very popular in salads and soups. These days, the broccoli has become a very healthy option for people. Broccoli is usually grown in places with cooler climates. The different varieties of broccoli have made it easier for farmers to grow the vegetable in varied areas and climatic conditions. Our Broccoli is sourced from growers in China, Egypt, Italy and Poland. 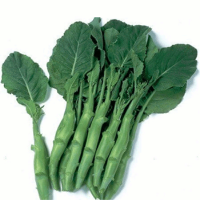 Chinese Broccoli : 1 x 20' container, specified to buyers requirements. Although its cultivation is not very large, we can supply a decent quantity on a regular basis if advance booking is done. Prices are indicative and subject to change depending upon the produce season. We start supplying our a class broccoli from november to may each year. Short on time? Let broccoli sellers contact you. Different presentation in broccoli will include bunches (14 and 18), crowns, china cut crown and florets. Packed in our harvesting machines in the fields will be transported to the packing shed to cool it in the vacuum cooler or iced in the ice injector depending how our customers prefer it. 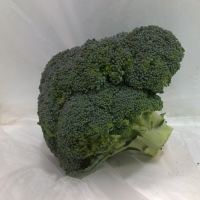 Quality Good quality broccoli shuld have dark or bright green closed florets. The head should be compact, with a cleanly cut stalk of the required length. There should be no yellow florets and there should be no discoloration on the stem bracs. 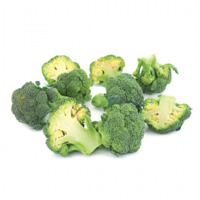 Temperature Low temperature is extremely important to achieve adequate shelf life in broccoli. A temperature of 0 is required to optimize broccoli storage life (21 - 28 days). Heads storage at 5 can have a storage life of 14 days; storage life at 10 is about 5 days. Quality	: A Grade Packing	: Plastic Bag, Polythene or Carton Box Packing Size	: 5 kg, 10 Kg, 15Kg, 25Kg Health Benefits: It is a very good source of dietary fiber, pantothenic acid, vitamin B6, vitamin E, manganese, phosphorus, choline, vitamin B1, vitamin A (in the form of carotenoids), potassium and copper. Broccoli is also a good source of vitamin B1, magnesium, omega-3 fatty acids, protein, zinc, calcium, iron, niacin and selenium. Product Name: Broccoli Extract Glucoraphanin Part Used: Flower head/Seed Specification: 1%~50% Appearance: Green yellow powder CAS: 21414-41-5 Molecular Formular: C12H23NO10S3 Molecular Mass: 437.51 Extract Method: Water/Enthanol Sulforaphane is most protective against cancers of the mouth, esophagus, and stomach, according to a review of hundreds of clinical studies conducted for the World Cancer Research Fund and the American Institute for Cancer Research. It works by increasing the death of cancer cells. Packing: 1kg is packed with double plastic container inside and a Aluminum Foil Bag outside. 25kgs is packed with double plastic container inside and a fiber square box outside. Delivery Detail: After payment,we will dispatch the goods the same day. Features : Thai Name : Ka Na Phak Scientific Name : Oleracea Brassica Broccoli, cabbage family is a member of the green-green to purple in color and has tightly clustered flowers or florets, borne on sturdy stalks. The florets are the most tender part. The stems, if peeled, can also be used. It has a slightly sweet and bitter taste. Delicious stir fried, steamed, or boiled but never eaten raw. Choose firm stalks and closed heads with deep color and no yellow areas. Refrigerate in a plastic bag for up to 4 days. 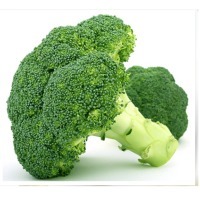 Approx Price : Rs 45 / Kilogram Organic Yes Pack size As per customer demand Leveraging the skills of our qualified team of professionals, we are instrumental in offering a wide range of Fresh Broccoli.